I drew from the community visioning materials requesting natural imagery addressing the flora and fauna in the area. These split station windscreens have over sized images of butterflies flowing across the windscreens, creating a relationship between the panels. All the butterflies are native to the neighborhood. The paving is Lithocrete Glass of hand broadcast blend from orange to deep blue, echoing the variation of the background of the windscreens. 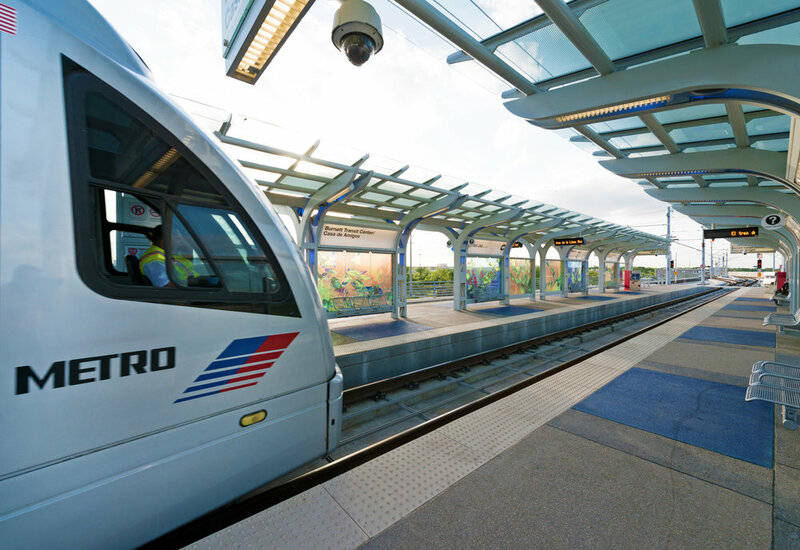 Since this is an elevated station and not shaded by trees, the windscreens are shaded to filter the strong light. 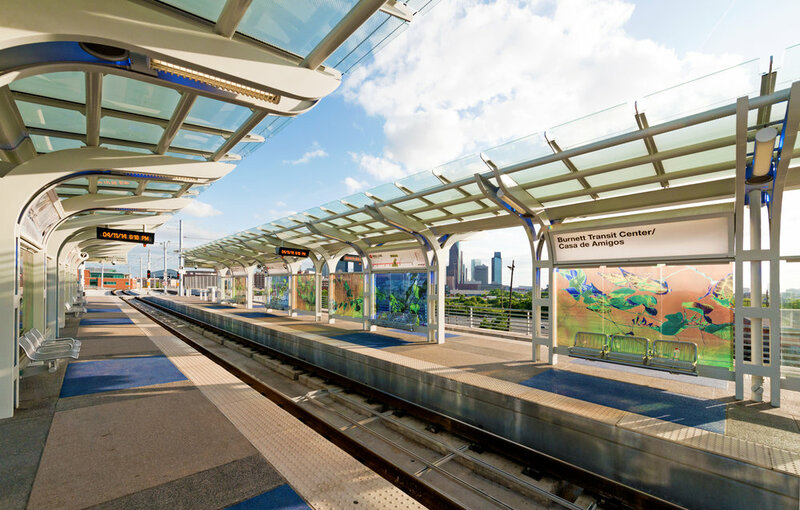 The elevated station overlooks the railroad tracks and the Houston skyline. Images of native vines in bloom, echo the railroad tracks and the coming together of rails, streets and highways. The images for the stations are color inverted, and reversed so that the images are mirrored. The paving areas in front of the seating is of Lithocrete glass in a deep blue. 5' x 150' x 0"